Power and petrol shortages are afflicting the Libyan capital Tripoli, deepening public frustration as months of conflict with NATO-backed rebels take their toll on the seat of leader Muammar Gaddafi’s power. Tripoli has suffered blackouts increasingly often in the past few weeks. Many residents have no air conditioning during peak summer heat and no refrigeration as they prepare for evening meals during the Muslim holy month of Ramadan. Some areas of the Libyan capital are getting as little as four hours of power a day, residents said this week. The government blames smuggling, rebel attacks on pipelines and NATO airstrikes on power lines — which the alliance denies. Even in tightly-controlled Tripoli, where foreign journalists are trailed at all times by government minders and prohibited from reporting freely, there are signs the scarcities are fueling resentment against the Gaddafi government. In recent days, witnesses say, there have been isolated, sporadic gatherings of people angry about the deterioration in living conditions. After initial protests when the rebellion against Gaddafi broke out last winter, Tripoli’s residents have been relatively quiescent, helping him to defy the Western-led military alliance trying to unseat him with airstrikes. One area on the eastern outskirts of Tripoli, Tajoura, went without power for 28 hours this week. Foreign embassies have also suffered power outages that last for most of the day. Mohamed Abu Ajeela Rashid, a former Libyan health minister who is now a senior hospital doctor, said the shortages were causing serious problems. On Saturday, he said, power was cut off while he was performing an operation and he had to complete it by the light of his cell phone. The power crunch hit this week the hotel where foreign journalists stay, a bubble of luxury and one of the few places in Tripoli where an Internet service is available. Libyans are already grappling with the impact of Gaddafi’s isolation and almost six months of civil conflict that has torn the country in two between government and rebel-held areas, as well as bringing the NATO airstrikes. 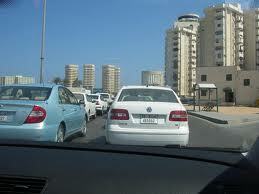 In coastal areas around Tripoli, cars line up for kilometres (miles) at the few petrol stations still open. Many Libyans have sold their cars or parked them indefinitely for lack of fuel. During a month when families and friends typically gather for elaborate evening meals after a day-long fast, ordinary cooking fuel has become scarce and expensive. A gas container that cost less than the equivalent of $2-3 a few months ago can cost at least 20 times that amount, if it can be found. OPEC member Libya, which has Africa’s largest crude oil reserves, uses its gas and diesel supplies to generate electricity but has relied on gasoline imports for vehicles. International sanctions have hindered trade while the rebels have tried to cripple Gaddafi’s military and political power by shutting off oil supplies to the Zawiyah refinery near Tripoli. Adding to the problem, the government says, is smuggling of Libyan diesel, which should be going to fuel power stations, into neighbouring Tunisia where it is traded for petrol that can be sold for vehicle use in Libya. Libyan state television broadcast on Sunday an appeal to the public to conserve power. It said people should switch off air conditioners when they leave their offices, and use air conditioning in mosques only during prayer time. The daytime temperature in Tripoli on Sunday was 41 Celsius (106 Fahrenheit). Deputy Foreign Minister Khaled Kaim told reporters this week that the power shortages were caused by NATO strikes on power turbines and rebel attacks on pipelines. “These attacks are aimed at starving and displacing the Libyan people and causing a humanitarian crisis. What do power lines have to do with military battles or protecting civilians?” Kaim said. But at least some Tripoli residents blame the alliance. Vegetable merchant Abdul Salim Tarhouni said his home goes without power for many hours at a time.